I hope everyone had a great Thanksgiving. Now that turkey day is over it is time to move on to Christmas. Christmas this year is going to be completely different for me. We are going away over the holidays. That means no presents. I am not sure what I think of this yet. Giving and receiving is something I enjoy very much. I honestly don't know if I will be able to resist buying a few little things here and there for family. One thing that will not be different is holiday baking. I have already made a few batches of new cookies. 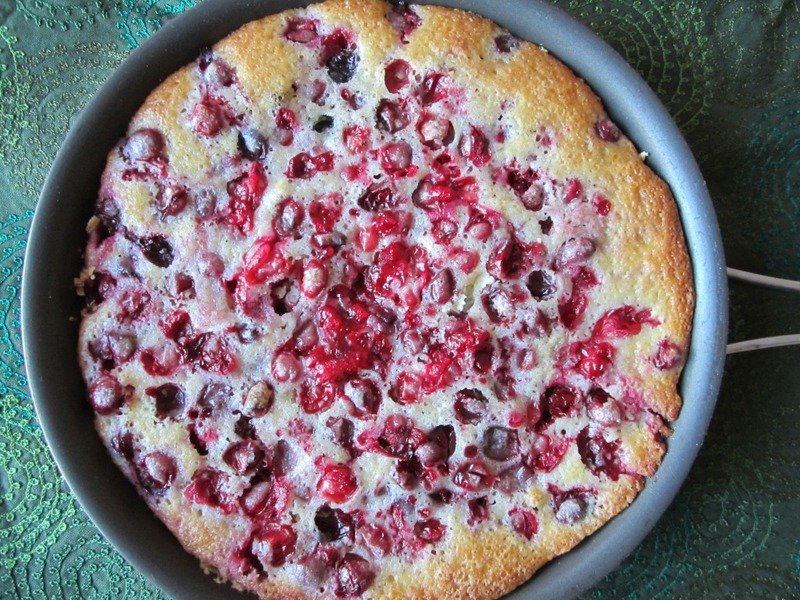 My Pinterest board is packed full of cute candies and cake. I wish I could take the month off just to bake it all. I did mange to squeeze in these tasty little bars last week. I am not a big fan of gingerbread cookies ( I think they are too crispy for me) but I love gingerbread cake. These bars are soft, gooey and have chocolate. Each day the bars got better and better as the spices and molasses merge. They didn't last long and I am thinking they will become a new family tradition for the holidays. In a large, microwave-safe bowl melt the butter, about 1 minute on high power. Set aside to cool. Once the butter is cooled, add the egg, brown sugar, molasses, vanilla, ginger, cinnamon, cloves, nutmeg, optional salt, and whisk until smooth. Add the flour and stir until just combined, don't over mix. Evenly sprinkle the cinnamon sugar mixture on top and then the remaining 1/4 cup chocolate chips, pressing them down very lightly with a spatula. Bake for about 30 minutes, or until done. A toothpick inserted in the center should come out clean, or with a few moist crumbs. How gross is the weather today where you are? It sounds like our house might blow over. And the rain. Our outside motion light keeps coming on just from the rain. Yesterday I worked from home. It was suppose to be a day off but work didn't seem to think that was a good idea. Breakfast was the norm with a green smoothie and coffee. See my festive mug? Lunch was the Brussels sprouts salad from yesterday. I felt so healthy with all of my green eats for the day so far. Then we went to the movies. I wanted to see the Hunger Games movie since it opened last weekend. I am not a fan of fight big crowds and paying $14 per ticket to see a movie so we typically wait a bit and go to a matinee. Tuesday at 2:30 is the perfect time for a movie. We got a free drink coupon and a $2 small popcorn coupon when we bought our tickets. We couldn't say no to this. I love movie theater popcorn. Their attempts to upgrade to a medium or large was tempting but we resisted. Dinner was a Swiss chard and sausage pasta bake. It was so good. Warm. Comforting. Cheesy. Everything you want in a pasta bake. Dessert was an amazing gingerbread bar. This recipe will be up on Friday. Gooey and moist and full of chocolate chips. The only thing missing in this amazing days of eats was a glass of wine. Do you like movie theater popcorn? That was a mouthful. Are you looking for a healthy dish to serve with Thanksgiving? If so this may be it. A few weeks ago I was in New York City for a long weekend with family. For dinner one night I got a Brussels sprouts salad that was amazing. It was simple ingredients tossed together. I knew I wanted to try and recreate it at home. I really went easy with this recipe. I got pre-shredded Brussels sprouts, pomegranate seeds and goat cheese crumbles all from Trader Joe's. I only had to chop up the apple. I dressed the salad with this maple vinaigrette. We ate the first batch right away but had some leftovers. A few hours later at dinner we finished it off. The second helping was much more flavorful than the first after the vinaigrette was absorbed into the Brussels sprouts a bit more. Place first four ingredients into a large bowl and toss till combined. Light and fluffy pancakes with a hint of cinnamon. This month for the Secret Recipe Club I had Baking and Creating with Avril. When it came to picking a recipe there were plenty of cookie and muffin recipes I wanted to try but with some further exploring it came down to two recipes. Banana coffee cake or Cinnamon Bun pancakes. November and the fall in general has been so busy and the thought of sitting down for a nice breakfast with a sweet treat was very appealing. Only a hint at a big Sunday breakfast and Mr. J was all over the idea. I ultimately went with the Cinnamon Bun pancakes because Avril posted this almost to the date three years ago. The pancakes were light and fluffy, just how I like them with a hint of cinnamon. In a medium bowl combine flour, sugar, salt, baking powder and ground cinnamon. Whisk all together and set aside. n another bowl combine beaten eggs, milk, corn syrup, melted butter and vanilla extract. Stir in flour mixture until combined - do not over mix. Heat your griddle or frying pan with butter over medium-low heat. Pour about 1/4 cup of batter into pan for each pancake. Brown on both sides. Serve with warm maple syrup and butter. Are you all ready for Thanksgiving? We are pretty much having the same thing as every year. For me, this is exactly the way Thanksgiving should be, even if I try out new recipes in the weeks leading up to the big day. This year the only thing new is the rolls. And this is up to me. Talk about pressure. In case you are looking for some new dishes to serve here are some of my test run recipes as well as the family favorites. I actually did eat breakfast but it wasn't very good. The best part was my early morning Gingerbread latte from Starbucks and trying to catch up on some blog posts. I have 303 to read today. Clearly I didn't catch up too much. Lunch was late. Between having a meeting till noon and then the time change, by the time I got to the airport to eat it was well past 2:30 East Coast time. I was hungry and grumpy. I got a Cobb salad - my favorite from the TGIF in the airport. Can I just say it bothers me so much that you pay inflated prices in airports and get plastic silverware. So annoying! By dinner time I had made it to Detroit. My flight was early and I was lucky to have a sit down meal. I got nachos. Probably not the best decision but I was totally craving nachos. I justified no veggies by the salad for lunch. I scarfed them down and dropped salsa on myself about five times. Good thing I didn't know anyone. Add in a couple packages of peanuts and lots of what and that was my day. What is the best airport food you have ever had? A main stay for our family's Thanksgiving is the cranberry relish. It is my grandmother's recipe full of ground up whole oranges, apples and cranberries. It is held together with Jello. (I think it is the only time during the year I eat Jello.) It is a good old Midwestern salad and is my favorite part of the Thanksgiving meal. This recipe is not that dish which requires the grinding and chilling in a multi-day process. This apple cranberry sauce is much simplier. Only 8 ingredients and it can be complete in 30 minutes. Seasonings and sweetness can be adjusted for taste. I like it mouth puckering tart. You can eat it warm or cold, by itself or on top of your turkey. 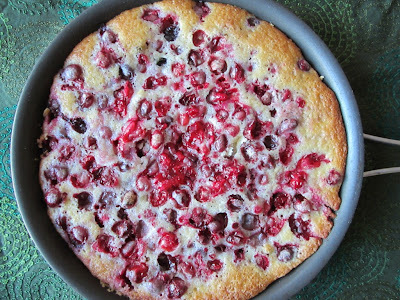 Or best yet, as a topping for all of your leftover turkey sandwiches. Add all of the ingredients to a medium saucepan and place over medium-low heat. Simmer the mixture for 15-20 minutes, until the cranberries have burst and the sauce has reduced slightly. This sauce will be tart but can be sweetened with the addition of more sugar. Serve warm or cool in refrigerator. Sauce thickens as it cools. I finally feel like I can start thinking about Thanksgiving. Just in the nick of time too. Nine more days to solidify the menu and go grocery shopping. I always loved Thanksgiving the most. It is my favorite holiday which is strange since once upon a time I didn't like anything at the dinner table besides the sweet potato casserole and dinner rolls. My taste buds have expanded since I was little. I now sample the stuffing, turkey, and cranberry sauce. I pass on the green bean casserole. Always have and probably always will. Because of this I always ask for another green side. Typically we have roasted asparagus. This year I played around with other options and was inspired but the au gratin Brussels sprouts I had the other night with out. They were roasted with so much cheese. It was delicious but almost too much. I did a little research online and found a much simpler recipe. I swapped out milk for the cream and skipped the bread crumbs and butter on top. The Brussels sprouts are so tender and flavorful. Each bite is cheese and has just a little kick from the red pepper flakes. This is simple and fast to put together. Just a great addition to the Thanksgiving feast. Preheat the oven to 400 degrees F and place melted butter in the bottom of a 2-quart baking dish. 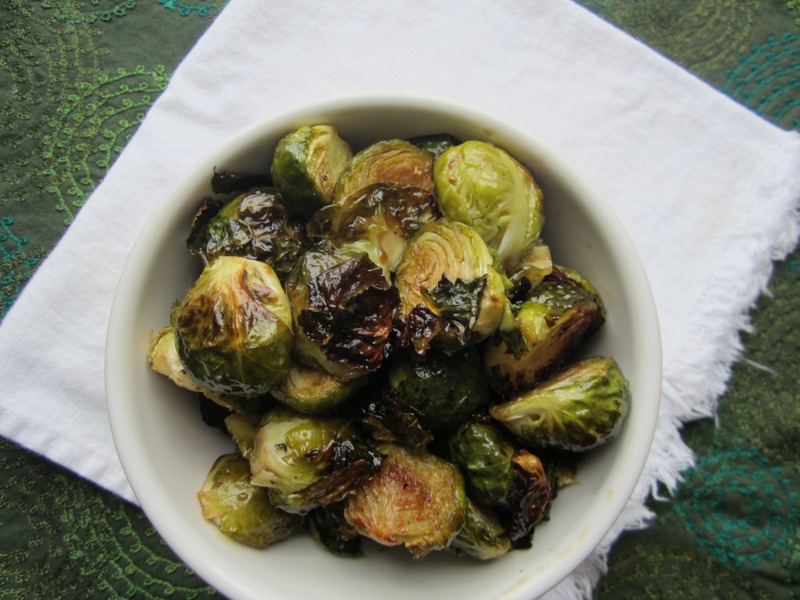 Drain the Brussels sprouts. Toss with the red pepper flakes, and salt and pepper to taste. Transfer to the prepared baking dish and then spread out evenly. Pour the milk on top. Even sprinkle all of the Brussels sprouts with a layer of cheese. Oh man has it been one busy week. Honestly, I could say couple of months. I have had a to-do list, multiples ones, that only seem to be getting longer. This weekend we made some major dents in those lists. Thank you notes long overdue, ordering Christmas cards, laundry, leaf blowing, cooking, furniture moving. All was done this weekend. I have to make a quick run to Dallas this week but otherwise I will be home. Hopefully this means more check marks on the list. And some Thanksgiving day recipe testing! I try to switch my reading up between books that are just for fun and books require a bit more thought. 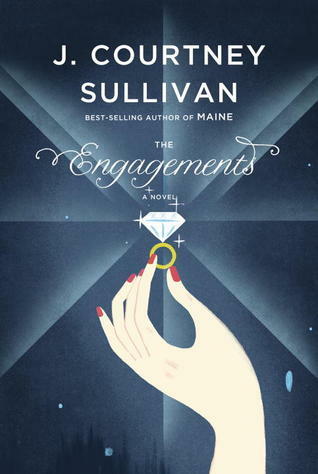 The Engagements was more of a fun book but it actually got into the history of diamonds and the tradition of engagement rings. I found out about this book because the author, J. Courtney Sullivan, wrote Maine. I also totally judge a book by the cover and this one just looks good. The Engagements is comprised of multiple stories that follow engagements or more specifically marriages - the long, short, and passionate ones. The stories are traced by the engagement rings and the sentiments behind the rings. In the midst of these stories is the tale of Frances Gerety, a young advertising copywriter in 1947 who lands the De Beers campaign. This true story is how the line "a diamond is forever" was created and the tradition of the engagement ring in America. The story reads similar to the movie Love Actually, the stories intertwine but are separated throughout the book. It is Wednesday already. It sure comes around fast when you don't work on Monday. Even with the shortened week I am ready for the weekend. Breakfast got skipped but I grabbed some pumpkin bread with cranberries made by my mom. She brought two loaves for the weekend thinking we would need snacks in the city. Of course we had plenty of snacks but they weren't pumpkin bread. That is OK though, more left for us to enjoy at breakfast time. Lunch was on the run at Panera. I went with my old stand by, chicken cobb avocado salad and broccoli cheddar soup. The soup was such a welcomed meal as temperatures plummeted on Tuesday. We even wake up to snow. I was not prepared for snow. After a long day on the road it was such a good thing to hear about a free happy hour at the hotel. I quickly grabbed a glass of red wine to make going through the days emails a bit better. Dinner was at Longhorn Steakhouse. I like to find the local places when I travel but when times are busy and it is cold out some times the best places are the closes, sure bet meals. I had a great steak with Brussels sprouts au gratin. What do you like to eat when it is super cold out? I was recently contacted by, Jess, the founder of Cook Smarts in order to try out her meal planning service. I think I do a pretty good job of meal planning on my own. It is actually one of the activities I look forward to each week. Each Saturday I take out my weekly planner and figure out when Mr. J and I are going to be around that week. I also schedule out any outings or nights out. The remaining days I figure out what we want to eat and make out a grocery list based on those meals. Done and done. The problem is when things get busy I tend to pick the same meals over and over again. Furthermore, they aren't really recipes. For instance, it will be grilled chicken, steamed broccoli, and roasted potatoes. Simple, basic, and let's be honest pretty boring. Cook Smarts sends out weekly menus and grocery list for each meal. What I love about these menus are they are unique and flavorful. This week's menu consisted of miso soy ginger meatballs, balsamic chicken with sauteed spinach, butternut squash and hummus pizza, and tilapia en papillote. Let's just say I am not going to be coming up with miso soy ginger meatballs on my own any time soon. This is as easy as it gets. You get the email of meals on Thursday. You can pick and choose which meals you want to make so if you don't like one of the meals just don't pick it. You can also pick between original, gluten free, paleo, and vegetarian. The best part is that each meal as a prep portion that you could do in advance on Sunday making the actual night of the dinner much easier to prepare. Some of the meals also have joint ingredients - make a sauce one night and use it on another. The recipes were super easy to follow and there are fun tutorials for some of the more complicated steps. Mr. J really enjoyed making these meals. He thought they were easy to follow, quick to come together and really flavorful. I have been traveling a lot so we only did one complete week of meals but each was was delicious. We actually said each one should be added to our regular rotation. I think that is saying a lot. Jess said it was alright to share the recipe we enjoyed the most with all of you. The Coconut Cream Butternut Squash is to die for. Enjoy!! Maple syrup - 1 tbs. Salmon - 1 1/2 lbs. Brown sugar - 1/2 tbs. Salmon - Rinse and dry fish and divide into 4 portions. Place chopped butternut squash with 1 cup of water in a saucepan. Bring to a boil and then simmer covered for 10 to 12 minutes. While butternut squash is cooking, place fish into a baking dish. Cover with sauce (use only half if you doubled it for Wednesday's meal) and then cover tightly with foil. Bake for 12 to 15 minutes. When butternut squash has cooked, drain, and return to saucepan. Add coconut milk, maple syrup, and salt. Puree with an immersion blender (you can also use a masher, but it won't be as smooth and creamy). Season to taste with more salt or sweetener. Enjoy your fish on top your coconut cream butternut squash for a fragrant weeknight meal. Serve with lime wedges.